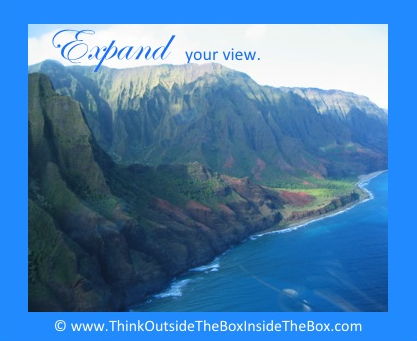 Are you expanding your view? Even if you can’t expand your literal view due to time, money or physical restraints, get creative with how you can expand your outlook, your attitude and how you view what you already have in your life. See the potential of everything from the seemingly small—you can still smile—to the obvious blessings—you have a roof over your head and food in the fridge. What can you create with your smile? What can you create from the comfort and safety of your home? Expand your view of what you have! It has more value, more beauty and more possibility than you realize.